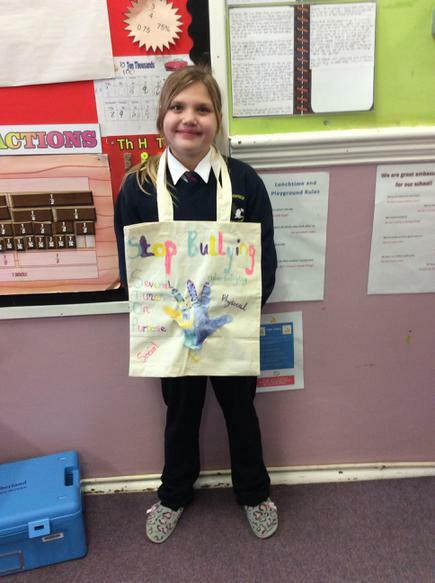 This week the children participated in Anti- bullying week. 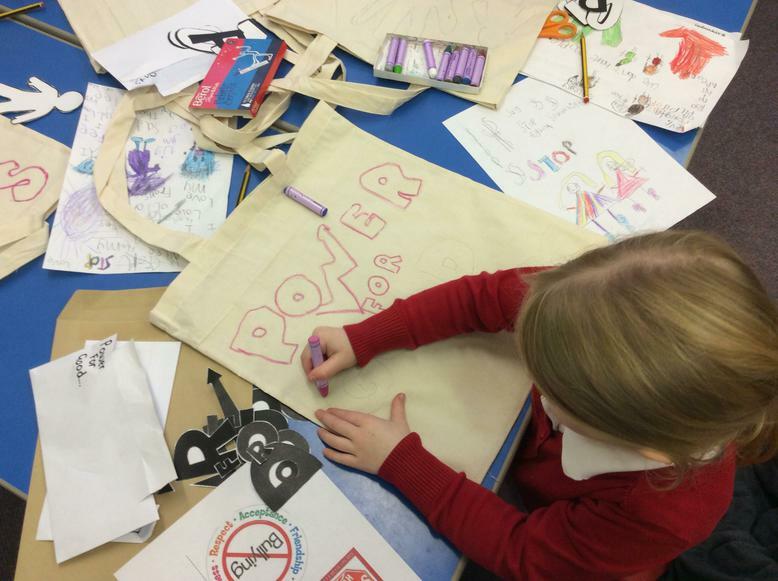 The theme this year was 'Power for Good'. 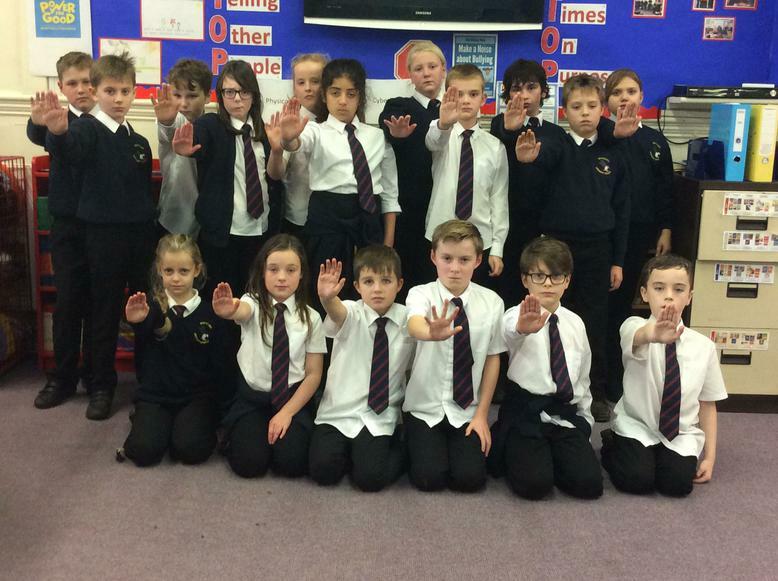 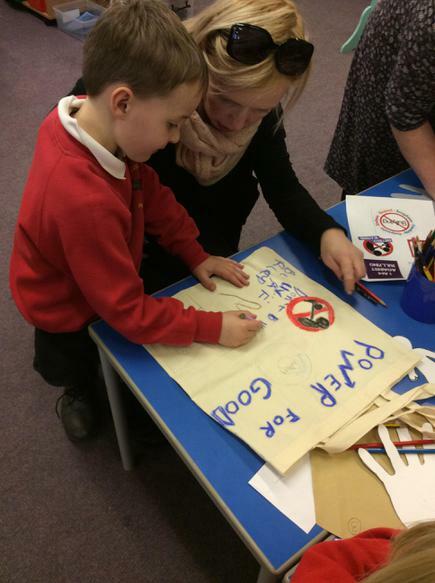 At Seahouses Primary School we are committed to tackling bullying. 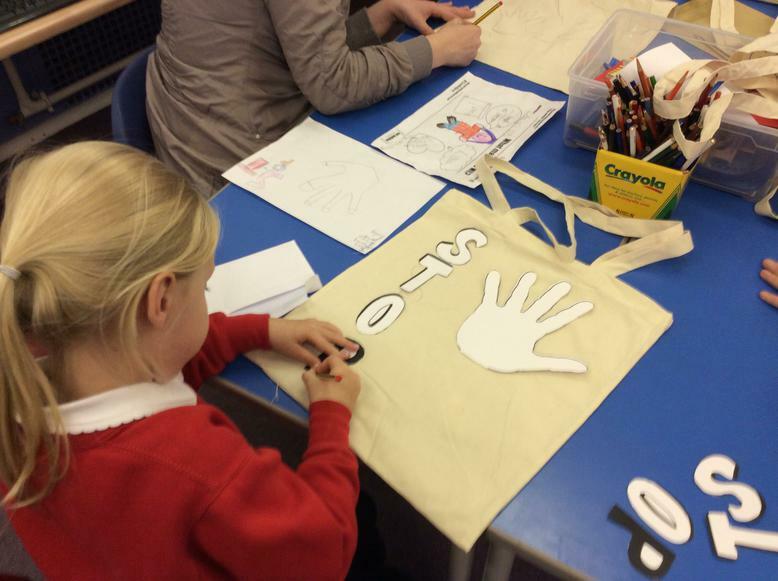 We believe that all children have the right to feel safe and be safe. 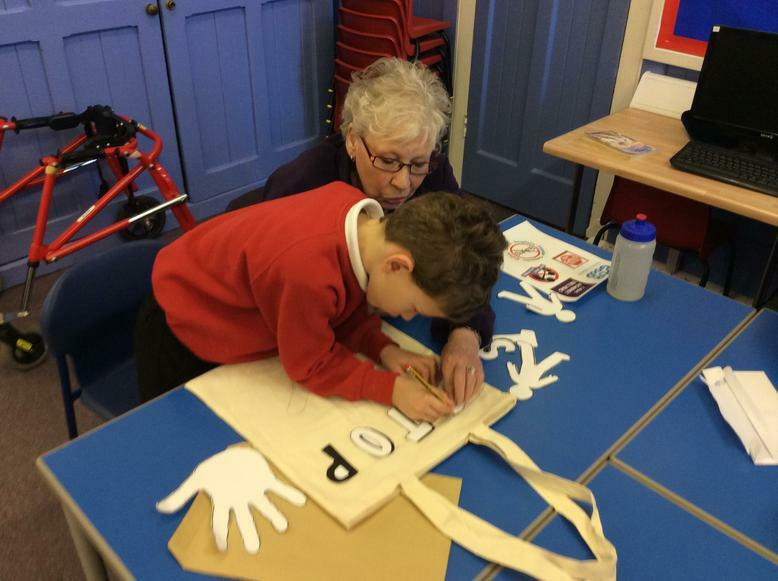 We regularly review with the children their understanding of the term bullying and what they can do to reduce it. 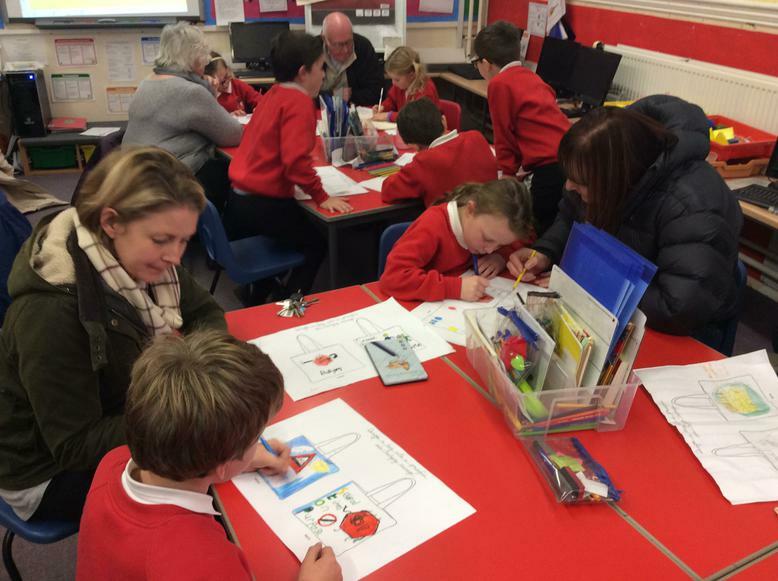 At school we use STOP - which stands for Several Times on Purpose and Start Telling Other People We invited parents into schools so that the children could share all of their learning. 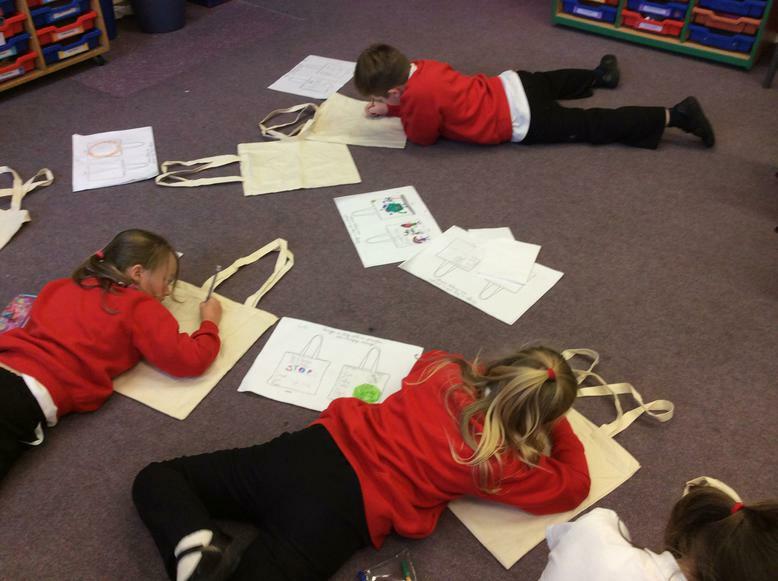 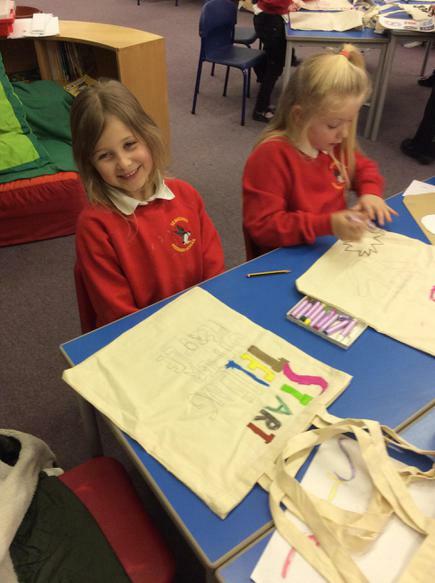 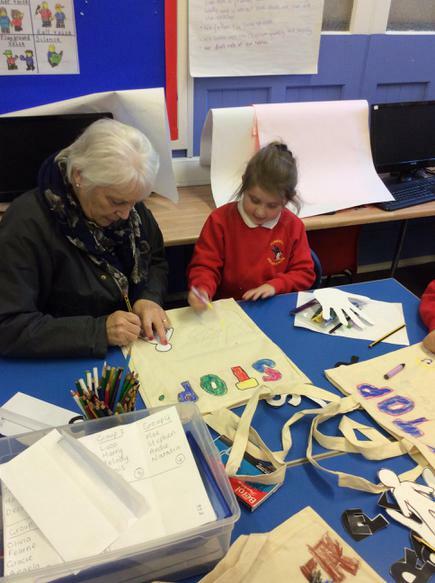 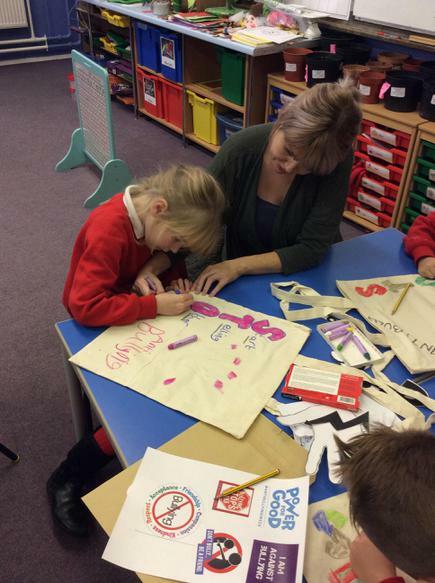 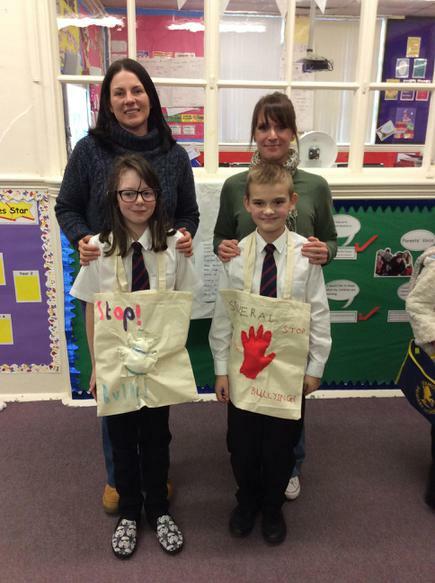 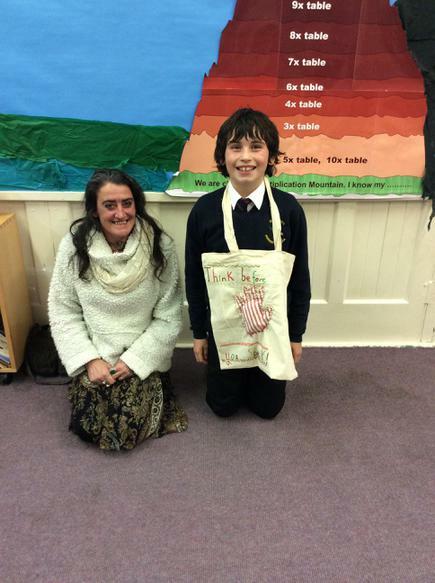 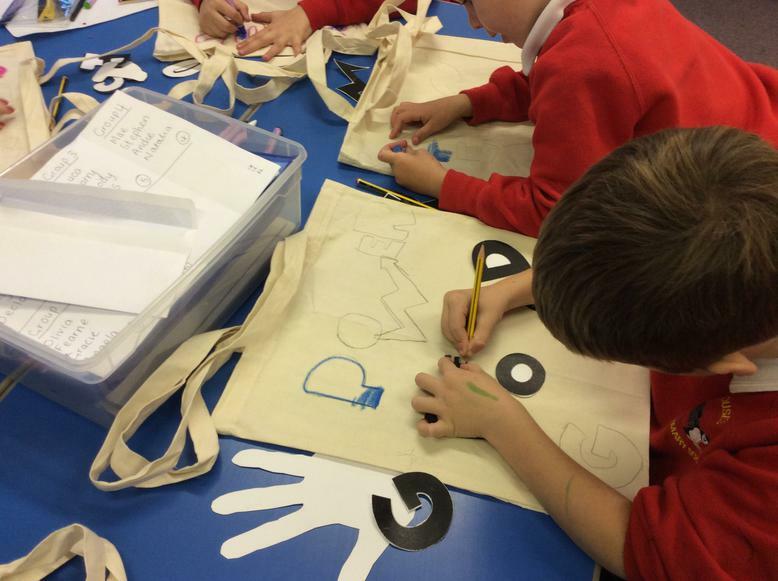 They all made a bag together so our message could be carried around the school and local community.